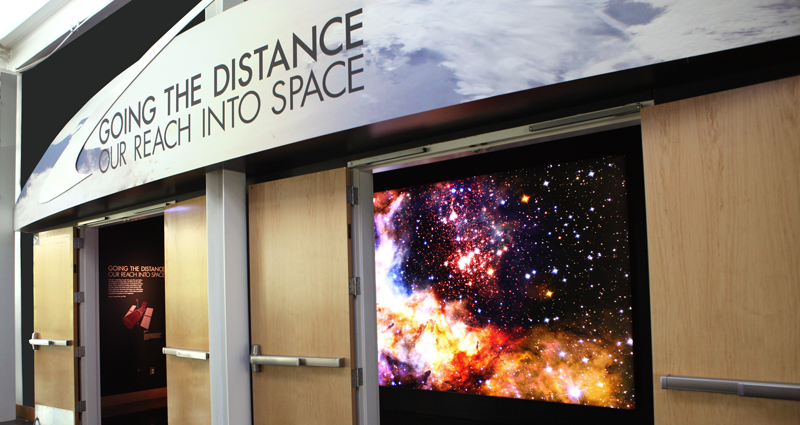 Explore how humans are expanding our boundaries by moving farther into the Universe than ever before. 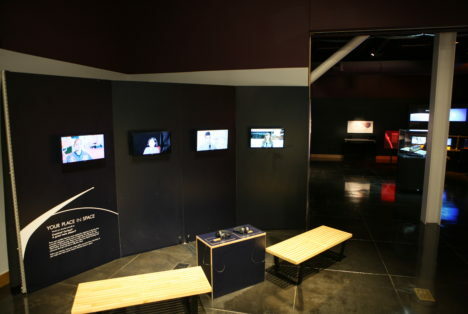 With inspiration and content provided by NASA Ames Research Laboratory, Caltech’s Jet Propulsion Laboratory, Planet, and SpaceX, the exhibit traces our journey through the cosmos, and where we are headed. 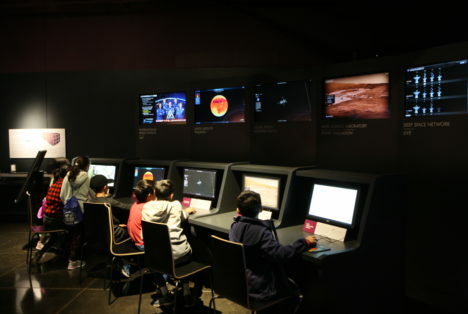 Experience the sights and sounds of Chabot’s Mission Control, modeled after the Jet Propulsion Laboratory’s Mission Control. Step up to any station to be the next Flight Director! Pilot a rover across our very own Chaos Terrain, a Mars-like surface scattered with knobs and cones of rocks! See out-of-this world objects, from the space program workhorse, an authentic 7K-OK Russian Soyuz Descent Module, to a Dove Cube Satellite Model, an example of the next generation of Nano satellites used to gather Earth imagery from space, to Space X Falcon 9, a rocket that delivers satellites and the Dragon spacecraft to orbit. Test your creativity and see things from the prospective of a spacecraft engineer. Take our Impact Challenge where you use fun materials – bouncy, squishy, bendy, springy – to protect your payload from the impact of landing on a planet’s surface. 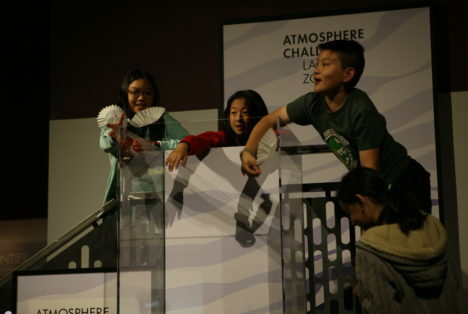 Or try the Atmosphere Challenge where you create a contraption to slow down your payload as it descends through the planetary atmosphere. 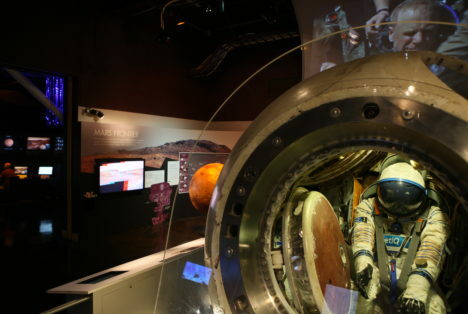 Imagine what your career will be in space – a rover pilot? A martian geologist? A space suit designer? Learn about intriguing new jobs for the next generation of space exploration.